After the last adjournment as a result of power outage in the court, a Lagos high court yesterday resumes its hearing on the cross-examination of witnesses in the trial of Chief Olabode George and co-accused in the Nigeria Port Authority (NPA) contract splitting scam of N84 billion . Five other defendants, Alhaji Aminu Dabo, Captain Olusegun Abidoye, Alhaji Abdullahi Aminu Tafida, Alhaji Zanna Maidaribe and Alhaji Sule Aliyu, former board official of the NPA, were present in the court. 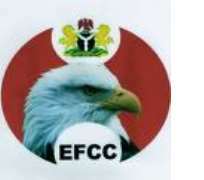 Two additional witnesses were produced by the prosecution counsel, Mr Clarke Ekpebe, from Festus Keyamo Chambers, representing the Economic and Financial Crimes Commission (EFCC). The witnesses, PW 8- Sanusi Mohammed, an EFCC operative and PW 9- Aminu Alkali, an Assistant Superintendent of Police (ASP), attached to the EFCC , were cross-examined by the counsels to the Gorge and other accused persons. Chief Tunji Ayanlaj (SAN) and Mr Dele Adesina (SAN), who led the defence team of lawyers, questioned the witnesses for about two hours, before the matter was adjourned till next day for continuation of the trial.